Catalina Technology has taken business to the web since the beginning — When it comes to ecommerce you’ll be hard pressed to find a company with more experience and knowledge. Catalina Technology has been delivering ecommerce solutions for over 10 years and its principles started with ecommerce solutions even earlier in web history. B2B, B2C, hybrids, and Multistore — We build solutions for organizations of all shapes, sizes, and types. To accomplish such flexibility, our core platform has been designed to support a wide variety of needs, and to allow expansion from one type of ecommerce to the next. Some of our customers start with B2B ecommerce and then expand to B2C, while others do the opposite. Others roll up multiple entities and present multiple ecommerce sites to the world while on the backend the solutions are managed and integrated by a single system. This platform flexibility reflects our customer diversity over the last decade and leverages best practices developed along the way. Understanding that every business is unique — While its certainly true that there are common requirements for ecommerce, we know from experience that each company defines unique models for the sale, delivery, and servicing of its products and services. Most of our customers select to tie their ecommerce solutions directly to ERP systems in order to have business rules reflected in their online commerce portals. They also prefer direct connections to the distribution and accounting systems which run their day to day business. 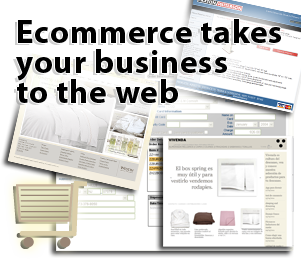 We understand how to take catalog, telesales, retail, services, or nearly any kind of brick and mortar company to the web. Solutions that can grow with you — Some ecommerce providers are very good at building web sites with nice customer facing features, but fail to deliver on integrating B2C and B2B applications with the business systems that run a company. As a result, ecommerce sites become complex to manage and require more human resources to keep accurate. Other undesired side effects such as failure to keep pricing and other business rules in sync between internal and web based systems can cause huge problems with customers, sales staff, and customer support. Catalina understands the critical points for integration and would be happy to advise of the path with the least surprises. 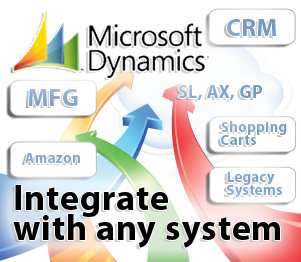 Delivering Microsoft Dynamics® solutions that drive business — The Microsoft Dynamics® product suite is a comprehensive product line with capabilities to run the backoffice and customer service systems in a wide variety of industries. Catalina Technology specializes in integrating and extending the Dynamics products to connect with each other, the web, SAS solutions such as Salesforce.com and even mobile applications. Going beyond the base Dynamics installation — When its time for your company to consider integrating your Dynamics product to another system or if you want to extend Dynamics based business functionality to the web or mobile platforms, Catalina Technology is ready to provide assistance in the architecture, development, and deployment of the solution. Data transformations and cross application reporting can greatly enhance visibility and control of business issues in an organization — Catalina Technology has extensive experience with developing data into usable formats and producing reports from diverse data sources. 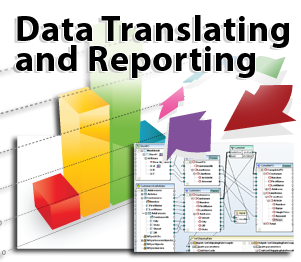 Delivery via Excel, CSV, PDF, Web report, or a custom format — Our customers all have unique uses for data, and so our reporting and transformation engine is able to deliver data in an almost unlimited variety of data formats. The data can be emailed, presented on a web page, or deposited on a file server. Adhoc, canned, on demand or scheduled reporting — Some reports you need every day of the week to run a business, others are only required under specific circumstances. Catalina’s Report Central™ reporting platform gives customers the ability to handle reporting and data transformations in the way they find the most value. Capturing data from the field creates new understanding of business on the front lines — Unique insight can be gained by evaluating mobile derived data alongside of enterprise application data. The CatalinaGIS Mobile Integration Cloud™ enables collection and reporting on combinations of data elements previously not possible. The possibilities are endless. Consider the simple ability to delve into planned vs. actual service delivery times, route related delay trends, vehicle inventory impact on job time and cost, and driver specific efficiencies. And if vehicles and field staff are equipped with GPS and smartphones even more opportunities exist to quickly spot localized issues and take action before a serious impact to the business. Take the complexity and cost out of mobile integration — CatalinaGIS customers benefit from a sophisticated, reliable, and flexible integration architecture without having to invest in the hardware and development effort required to build from scratch. The Mobile Integration Cloud™ connects to a wide variety of devices, transfers data and transactions, monitors for events, and combines mobile data and enterprise data elements for reporting and analysis. Connect with vehicle tracking systems and providers — Vehicle based tracking and dispatch systems can provide extremely accurate location data, and many providers also offer advanced states such as vehicle ignition status, vehicle computer readings, onboard equipment utilization and even job distribution to onboard navigation units. 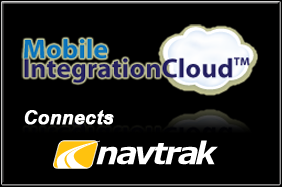 CatalinaGIS has partnered with Navtrak, a premier fleet tracking provider with many advanced capabilities. Use smartphones for something more productive than email and Facebook — Smartphones are rapidly becoming common in organizations, typically to enhance communications. But messaging is only the basic capability of these modern devices and wireless networks. CatalinaGIS brings geolocation, mobile applications, and external devices together to exploit the real power of a mobile workforce. Smartphones can create great efficiencies in the field by allowing delivery and consumption of information, mobile transactions, and instant status and validation of work done in the field. CatalinaGIS has developed useful field applications such as sales order entry, inventory management, and mobile credit card payment solutions. Tablets and pads can be truly connected to the enterprise — Tablets and the new pad computing formats can be useful mobile tools. The size and connectivity options lend themselves to more interactive mobile uses than smartphones and options to mount for in-vehicle use and detach for job site application data access and transactions. To exploit the power of a tablet/pad format an enterprise can utilize the CatalinaGIS Mobile Integration Cloud™ to connect the field to enterprise applications. 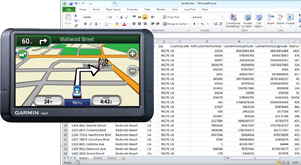 Distribute jobs and receive status from mobile navigation units — Now you can take advantage of popular mobile navigation units such as Garmin to distribute jobs directly from your sales, service, dispatch, or other field management system directly to mobile workers’ vehicles. 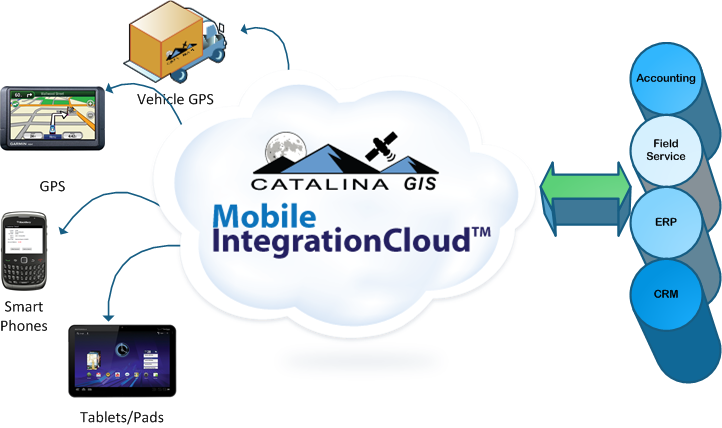 The CatalinaGIS Mobile Integration Cloud™ connects your business applications into the navigation units’ hardware and service provider platforms to delivery real time management of work done in the field. Transmit and receive mobile data from your backoffice applications — Making a direct connection between your backoffice systems and the field workforce can create tremendous efficiencies along with precise control and monitoring of field activities. This increased level of connectivity with mobile users also can accelerate revenues and reduce costs for fuel, idle resources, and provide unique insight into new opportunities to improve service or eliminate waste. Connect with online (SAS, Cloud, PAS) application and platform services — Online application platforms such as Salesforce.com and Microsoft Dynamics CRM Online are increasing adopted by the enterprise for their cost efficiencies, distributed user access, and powerful features. CatalinaGIS is a leader in application integration and can rapidly connect your mobile, enterprise, and these online services to create new value and access to critical information throughout an organization.